Dec 15, 2017, New York: The Human Health Organization (HHO) in collaboration with the Permanent Mission of the Republic of Paraguay to the United Nations has successfully organized the workshop “Healthy Cities – Cities of Tomorrow”, in support of the New Urban Agenda and the 2030 Agenda for Sustainable Development, at the United Nations Headquarters. Approximately 50 representatives from the UN Member States, UN system organizations, academia, private sector, and NGOs convened to discuss the ways of promoting and realizing sustainable urban development, as agreed upon in the New Urban Agenda (2016), shared experiences and depicted challenges in building new cities, explored opportunities in creating multi-stakeholder partnerships in support of healthy cities. Participants addressed specific topics related to the Sustainable Development Goals 11 (Sustainable cities and communities), 3 (Good health and well-being), and 17 (Partnerships to achieve the goals). Representatives from the Permanent Mission of Kasakhstan, the Permanent Mission of Egypt, and the Permanent Mission of Saudi Arabia made presentations and interventions on governmental plans of designing new cities, past experiences of building new settlements and moving people to new places. Officers from UN-Habitat and WHO shared international standards and agreements in the area of health, well-being and urban development. Researches in related fields shed light on the relationship between health and urban development, described environmental challenges and identified solutions to current and new human settlements. Private sector executives offered considerations on investing in and developing new cities. The workshop also highlighted an environment themed movie produced by Mingde Bros. Media to depict the dramatic challenges the world faces in addressing urbanization, development, health and environmental protection, among other issues, in people’s lives. 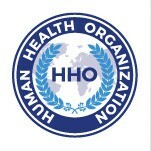 Finally, the Human Health Organization executives presented the HHO Healthy Cities Initiative and conveyed its views on building healthy cities for the advancement of health and well-being for all. The workshop is one of the series of events dedicated to healthy cities to be organized by HHO in collaboration with civil society, governments, academia and private sector.